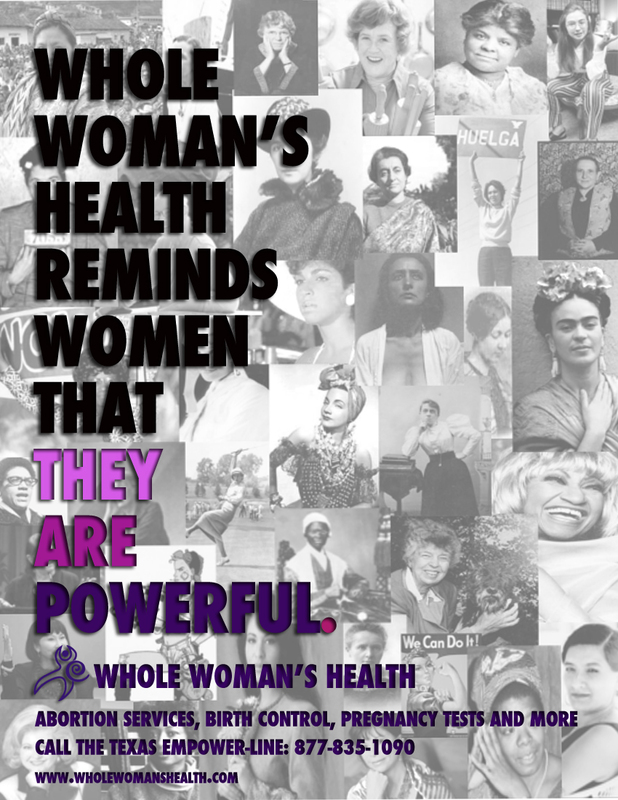 At Whole Woman’s Health, our mission is larger than healthcare. We are here to make the world a better place, for the women we know now and those who will follow in our footsteps. We honor women’s voices and stories and know they are an important part of our history. That’s why every room in our 7 facilities is named after a woman who inspires us. From Eleanor Roosevelt to Frida Kahlo, we aspire to share their stories and accomplishments with our patients, and remind ourselves daily that women are powerful. Whole Woman’s Health: Introducing the Texas Empower-Line! Whole Woman’s Health: CPCs Sue Austin over… Free Speech? You should see the work of Sister Song – a women of color reproductive justice collective. They have quite a bit to say about Margaret Sanger and the racism that pro-life groups espouse.